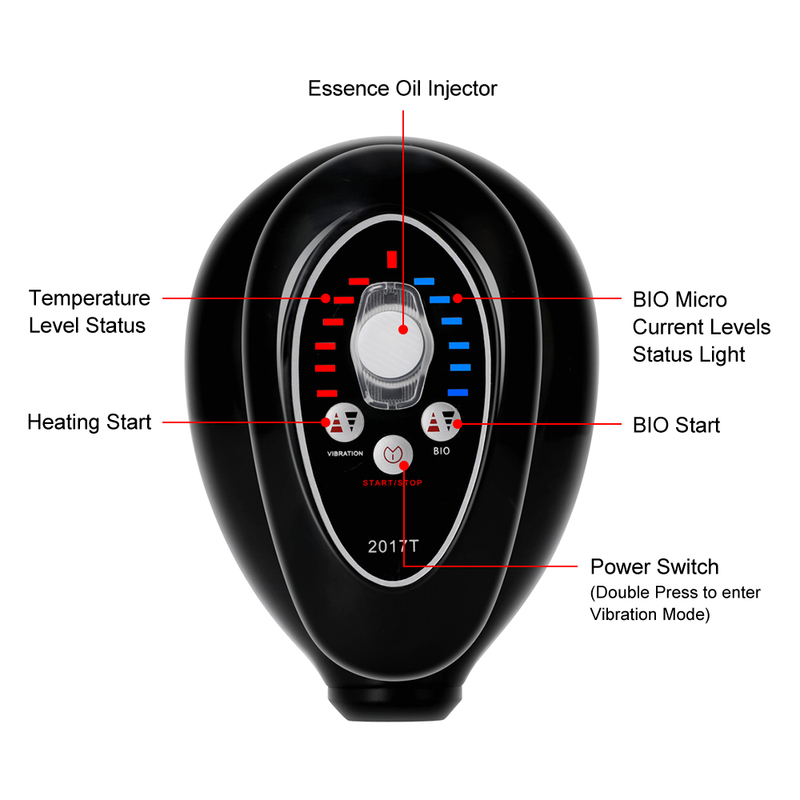 This device is a updated version that has been attached with some new functions like electric massaging, heat energy therapy, BIO micro current therapy and hydrolifting lead-in. 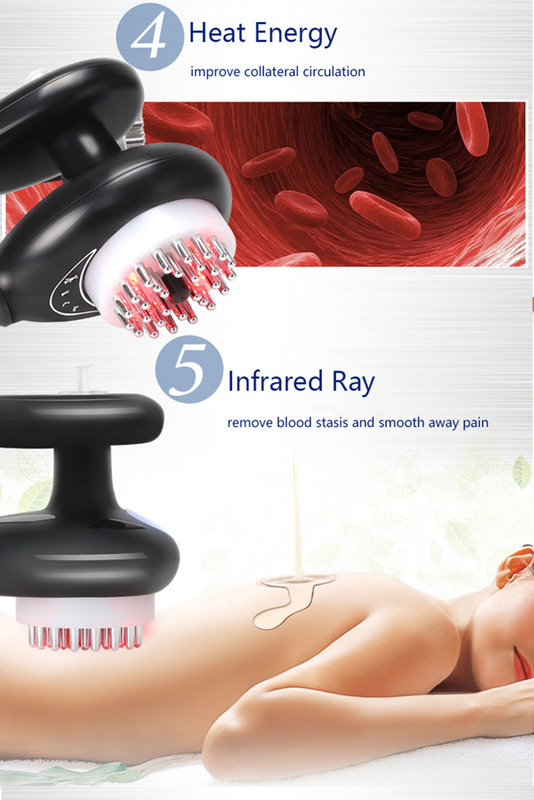 These newly released function can activate cell’s energy, promote metabolism, blood circulation and lymph circulation. Most importantly, this device is designed for home use, users can choose functions they like and do therapies in their houses. 2. 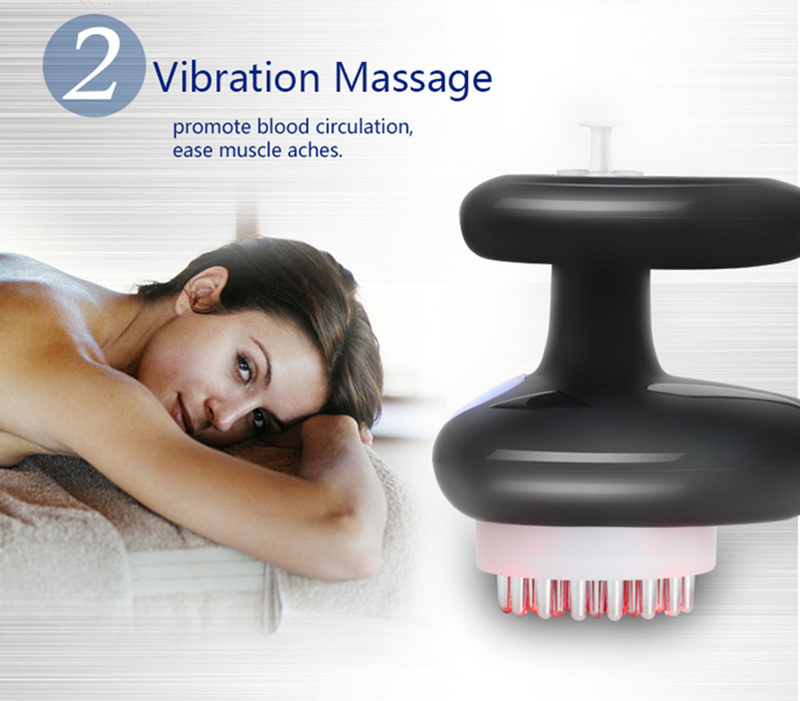 Vibration Massage : promote blood circulation, ease muscle aches. Promote skin absorption and penetration. Ease and sooth stress and pain in back and neck. Massage body meridian points, relieve body stress and fatigue. 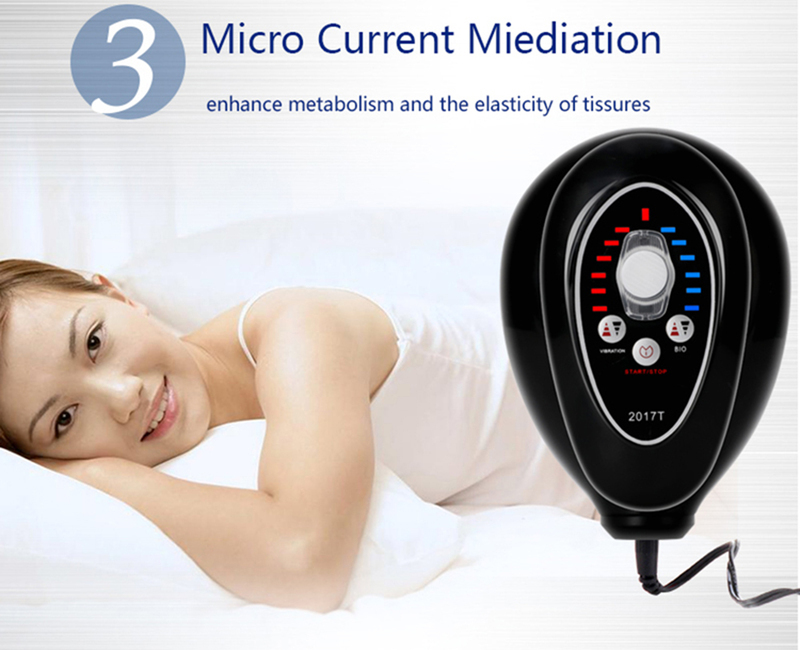 promote blood circulation and metabolism. 1.Load the injector with essence oil. 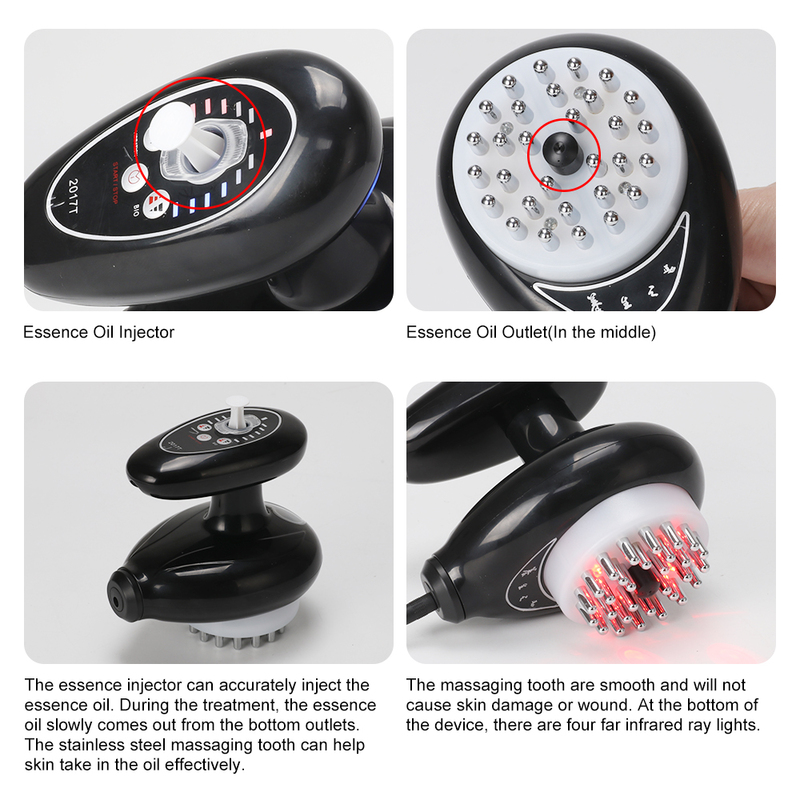 During device using, gently push the injector to let the essence oil slowly come out from the essence outlet and let skin take in the oil. 2.Plug the device and power it on. 3.Switch on the device, select proper temperature you need. 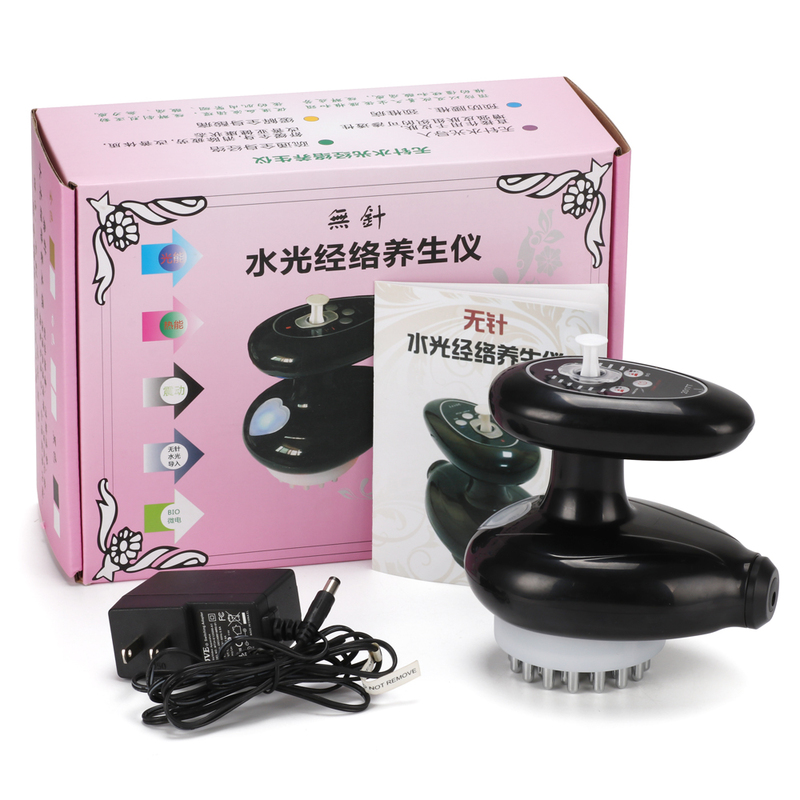 The device has six temperature levels from 1 to 6(45 to 60℃）. 4.BIO stands for micro current mode which also has six levels. 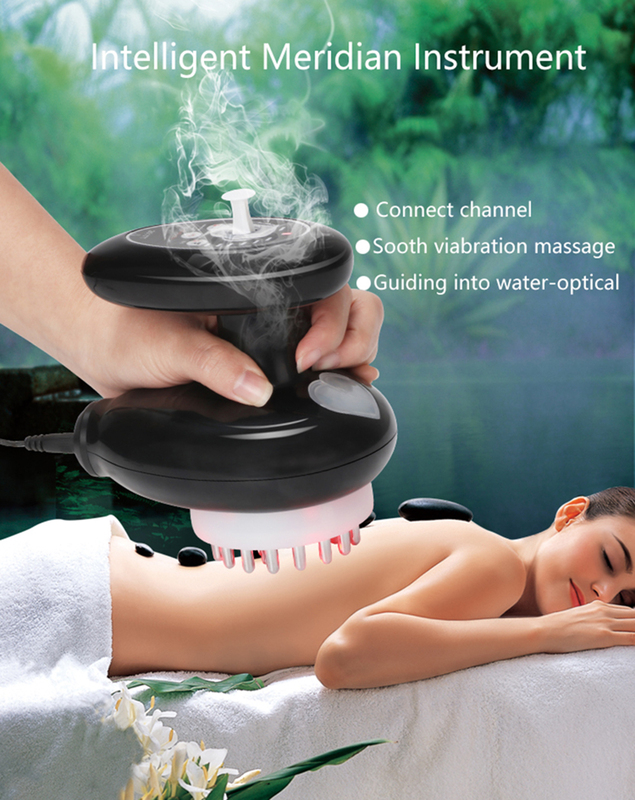 5.The device also comes with vibration massage function. Press the start button and the status light will turn green and the vibration mode will be started. Press the start button to pause the vibration. 6.After use please long press for one sec to switch off the device. 1. Not suitable for people who has varicosity. 2. Can not use scrapping therapy at the same time, should use it after the scrapping fade away. 3. Not suitable to use in 3 days before menstruation. 4. Not suitable to use in 2 hours before meals. 5. 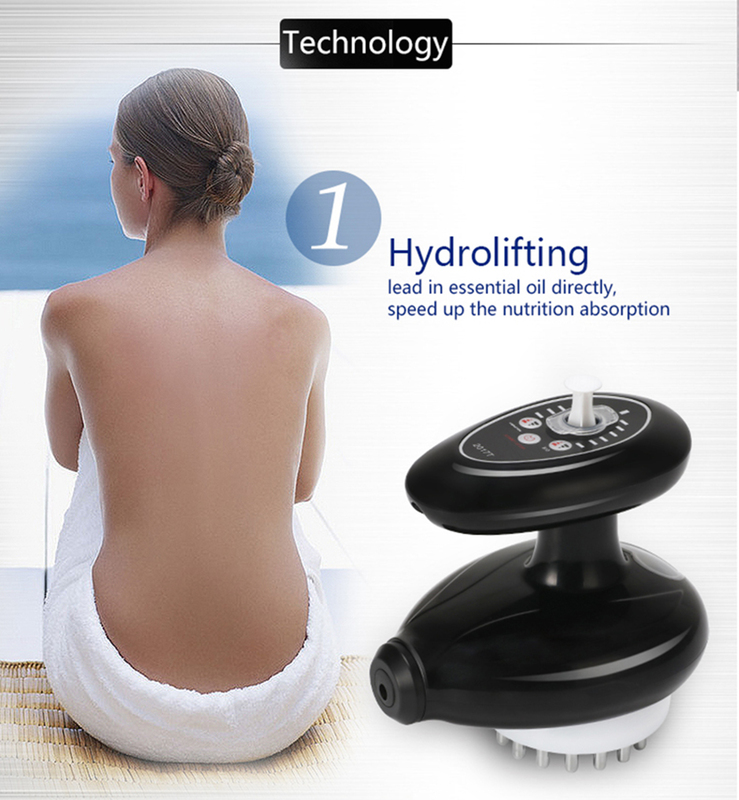 Use it after shower, after scapping, can not take a shower in 2-3 hours. 6. Better to scapping from the same direction. © 2017-2019 iBeautyneed Store . All Rights Reserved.